New Jersey Hall of Fame to be featured on JEOPARDY! 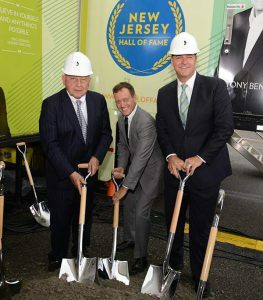 The New Jersey Hall of Fame broke ground Sept. 26 at the American Dream retail and entertainment complex in East Rutherford. From left, Jon F. Hanson, NJHOF chairman; Steve Edwards, NJHOF president; and Al Leiter, former Major League Baseball pitcher and NJHOF member. CLUE: This Garden State institution is to be featured as a category on the Feb. 8 episode of a venerable TV quiz show. CORRECT RESPONSE: What is the New Jersey Hall of Fame? Yes, the NJHOF will have five clues under its name this Friday on JEOPARDY!, which airs at 7 p.m. locally on ABC affiliates. The Foundation for New Jersey Hall of Fame is a nonprofit organization honoring citizens who have made invaluable contributions to society, the State of New Jersey, and the world beyond. Since 2008, the NJHOF has hosted 10 ceremonies for over 140 notable individuals and groups in recognition of their induction into the Hall of Fame. In late February 2019, the NJHOF plans to name its incoming class of inductees, and in September 2019 it will hold its 11th annual induction ceremony and a concert to benefit its permanent museum in East Rutherford. The permanent museum will be located on the lower level of the American Dream retail and entertainment complex in the Meadowlands. The new NJHOF home will cover 16,000 square feet and feature attractions such as a virtual reality theater and hologram theater. 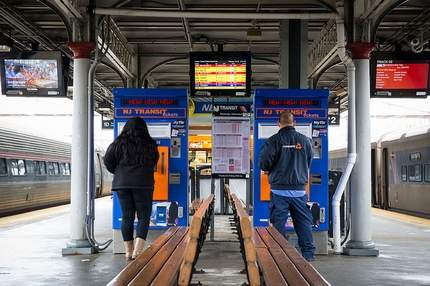 Its planned opening is to take place in the summer of 2020.